Congratulations to this year’s IVCI gold medalist, Jinjoo Cho, winner of the 9th quadrennial competition. 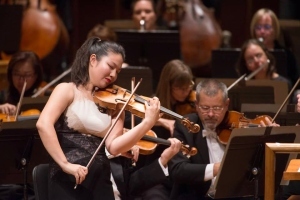 Cho gave a wonderful performance of Korngold’s Violin Concerto and Mozart Violin Concerto No. 5 in A for her finals. As part of her prize, Jinjoo has received a 4-year loan of the 1683 ‘ex-Gingold’ Stradivari. We are proud to be one of the sponsors and contributors to this high-profile competition which showcases the next generation of violinists. We extend our congratulations to all those who won medals and awards in the competition and to all those who performed, and we look forward to more brilliant performances next competition.